You’re not alone in thinking Republic Commando was a good game. I always loved having a laser clean the alien blood from my visor. I’ve been so deep into Skyrim that I keep wanting to put pots on my co-workers heads so I can steal their desk candy. Word of advise, check out online how to exploit Blacksmithing so that you can max it out and make dragon armor(!). Congratulations on completing Void Stalker. The excerpt I read made my balls tingle, and I wasn’t even standing near the microwave. Congrats on the heartbeat too. Beating hearts are always good, even ones that sound like hoof-beats. I found SM multiplayer not too bad, it caught me but then again I like multiplayer parts of games that doesnt takes too much of mu brain to think through. The campaign was decent as well, a bit short and as many said not many characters you felt for. High praise indeed, as Planescape is probably old enough to go from ‘old’ to ‘classic’ these days. I chuffing hate Lee Evans! There is no shame in keeping Planescape: Torment at the number 1 spot. I have to say that Skyrim has caused my painting/modelling progress to come to a screeching halt. It is, quite possibly, the best single player game I have ever purchased. I get a tremendous sense of nostalgia playing it. It hearkens back to the early days of Dungeons & Dragons for me, and makes me yearn for the days when we didn’t worry about rules and just did whatever we wanted. Complete freedom! That’s a great description of why I love it, too. Don’t be ashamed of liking Republic Commando ADB, its one of my favourites too. The day I found out we’ll never know what happened to Sev was a truly horrible day for me and all fans of Delta Squad. And Skyrim is indeed the best game i’ve played in a long time. It tops Dark Souls in awesomeness, which is still a fantastic game in itself, though I do think Dark Souls is more of a challenge than Skyrim and the darker feel of DS is cool as well. If you think you aren’t getting enough sleep with Skyrim, try Dark Souls. You’ll die over and over again, and you’ll just keep on going despite sanity telling you to give in. 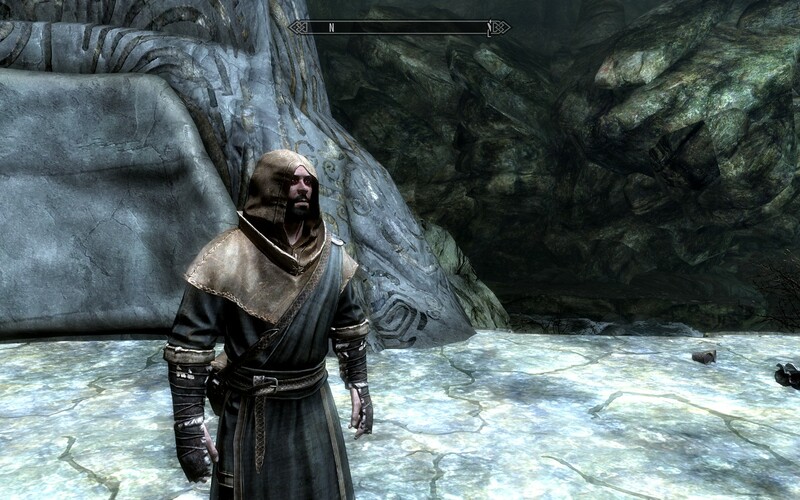 I’ve taken the warrior path in Skyrim though, and I’m staunchly with the Stormcloaks. I’m also a werewolf which is pretty damn awesome, if I’d named my character Leman Russ rather than Konrad Curze it’d be beyond ironic. That is some good pre-parenting there ADB, do you ever intend to tell Fuchsia that you thought that when she’s old enough to understand? Who the hell doesn’t like Republic Commando?! I must have played the campaign about a hundred times through.